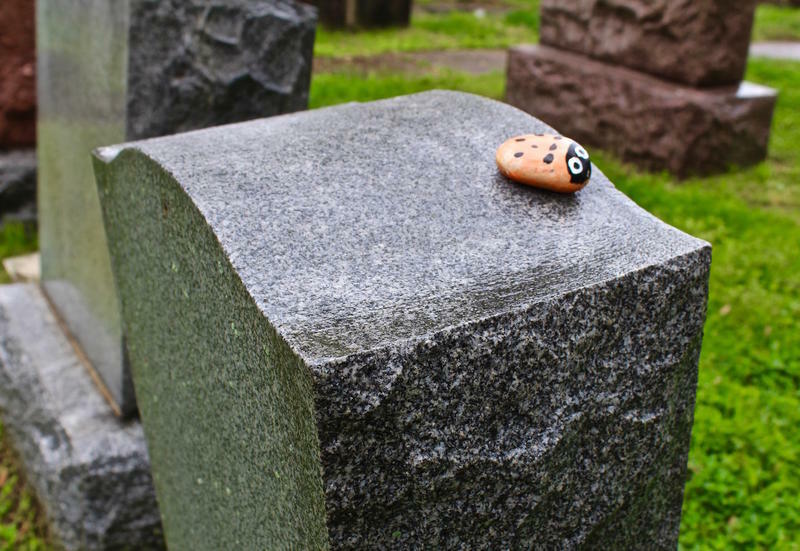 Stones painted with ladybugs and hearts now mark the affected headstones. A little girl in Florida painted the stones. 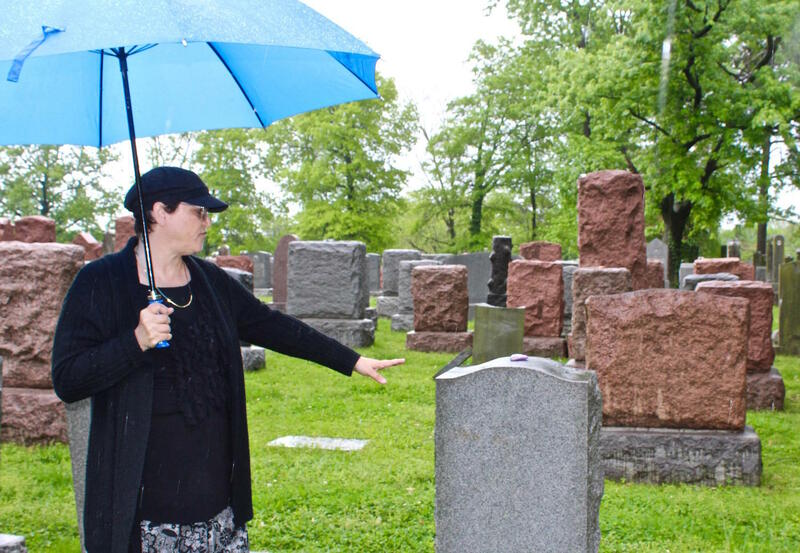 Executive director Anita Feigenbaum is standing in the rain, amid repaired headstones at Chesed Shel Emeth, the historic Jewish cemetery in University City that made international headlines last February after vandals knocked over 154 grave markers. Most of the headstones were fixed within days — the sanctuary restored, as the world watched. Two months later, 16 stones await replacement because they were broken beyond repair. But the major questions remain unanswered: Who did this, and why? Listen to the cemetery director talk about the aftermath of the vandalism. A spokesman for the University City Police Department said Monday that the investigation remains open, but there are still no suspects. The Anti-Defamation League is offering a $10,000 reward for information. Feigenbaum says the vandalism was criminal, but she is careful not to label it a hate crime, unless police find evidence. Have you experienced or witnessed a hate crime or harassment? Help us investigate. The repaired gravestones are difficult to pick out from the 22,000 monuments that mark graves in the cemetery. Unless you know to look for the little stones painted with ladybugs and hearts that now rest atop them. Feigenbaum said the outpouring of support after the vandalism has been heartwarming, and it has overshadowed the crime. A row of repaired headstones that was targeted by vandals at Chesed Shel Emeth Cemetery in February. The cemetery has returned to its routine, but with increased security, according to Feigenbaum. On a recent rain-drenched morning, there were few visitors. Unlike the days after the vandalism when hundreds of worried people came to check on the graves of their loved ones. And hundreds more turned out for an interfaith vigil and to hear Vice President Mike Pence and Gov. Eric Greitens denounce the crime. The vandalism came amid a torrent of bomb threats to Jewish schools and community centers across the nation. According to the national Anti-Defamation League, anti-Semitic incidents rose 86 percent during the first quarter of this year. Karen Aroesty, the organization’s regional director, says that it’s important to avoid speculation about the motive behind the vandalism, but there’s no denying how people felt about the crime. The story has been further complicated by the arrests of a St. Louis man who police say made bomb threats to frame his girlfriend and of an Israeli-American teenager in Israel who made threats to Jewish institutions in the U.S.
Vandals knocked over more than 150 headstones at Chesed Shel Emeth Cemetery in February. Aroesty was at the cemetery the morning the vandalism was discovered. She watched the story take off on social media, after a news station tweeted an aerial photo of the vandalism. She says social media intensified the impact and the anxiety. She said it’s difficult waiting for answers in such a highly-charged case. 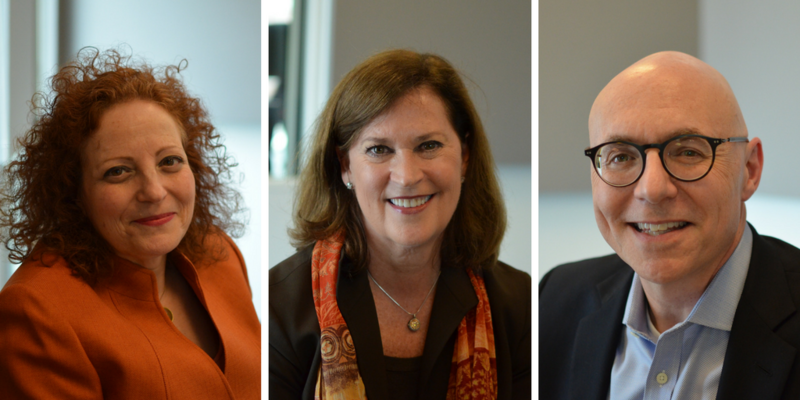 Aroesty said the response to the crisis by the interfaith community of St. Louis was positive, but there is long-term work to be done. 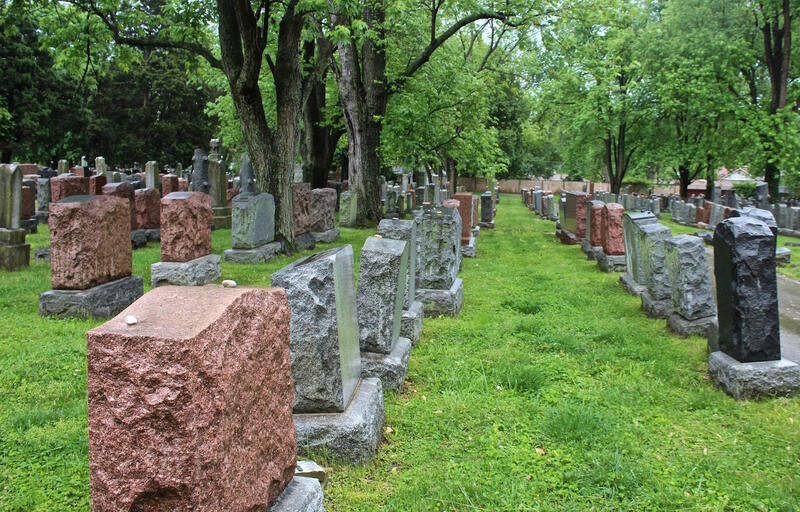 Chesed Shel Emeth, which is one of the oldest Jewish cemeteries in St. Louis, was founded 124 years ago by Russian immigrants. Director Anita Feigenbaum says the gravestones that were vandalized were in one of the oldest sections of the 124-year-old cemetery. Feigenbaum said the publicity after the vandalism was a double-edged sword. The media barrage was difficult, but it served to get the word out to families in far-flung places who needed to be told about the damage. The cemetery staff fielded more than 3,000 calls and emails. Feigenbaum said it was a doubly difficult time for her, because she was also dealing with the death of her father, a Holocaust survivor who served in the U.S. military in the Korean War. “My father had just passed away two weeks prior, and I was sobbing as I was walking through, counting how many stones were down,’’ she said. In the weeks since the vandalism, Feigenbaum says she’s spoken to many high school and college students about the incident. 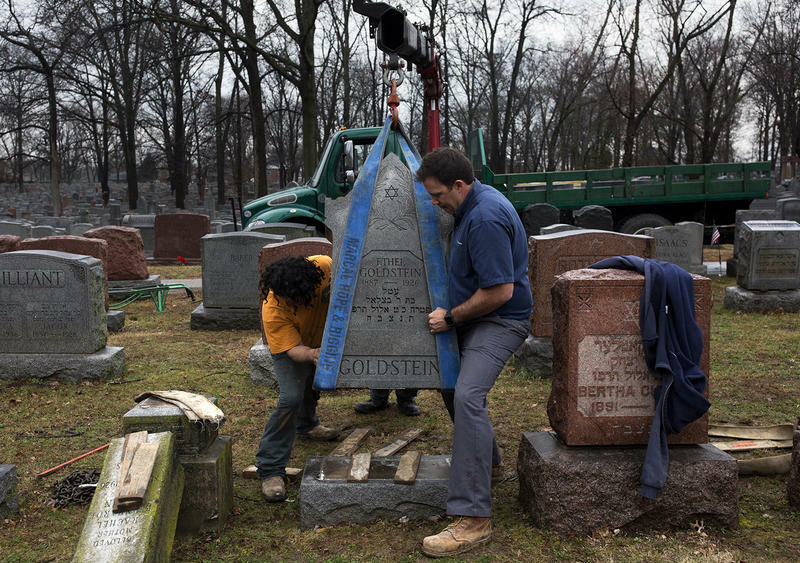 While the more than 150 headstones that were toppled and damaged at one of the oldest Jewish cemeteries in St. Louis have all now been righted, waiting only to be resealed, the damage still felt in St. Louis’ Jewish community is palpable. This weekend’s actions have compounded the emotional damage from a recurring spate of national and local threats made against the Jewish community, including a January bomb threat to St. Louis’ own Jewish Community Center. Updated 10:15 p.m. with additional information from the cemetery. — The Jewish community throughout the St. Louis area is trying to understand what’s behind an act of vandalism that left 154 gravestones toppled in one of the oldest Jewish cemeteries in the state of Missouri. The damage happened some time over the weekend and was first noticed by workers making the rounds at the University City cemetery on Monday morning, according to Chesed Shel Emeth’s executive director, Anita Feigenbaum.